New year, New Der H! I went a bit mad in December and may have bought some things. (Brother Handro: "That is another post...") But I continue to be serious about making, and painting, my IIIrd legion. I really like Lucius; he is a dynamic character who is the embodiment of the IIIrd legion. He is arrogant, he is glorious, and he is a true swordsman. He is also a little bit like Captain Scarlet.... i.e. not actually invincible (Der H: "He dies, like, every week..."). The imagery is stunning too. 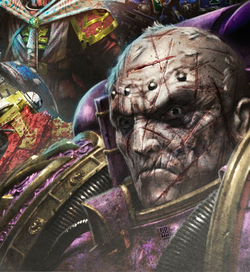 I love his depictions in Angel Exterminatus. I've tried to make him before, but he always lacked, something. This time I wanted to craft him as he would be in the Angel Exterminatus era (from here forth Post-AE). I resolved to use the torso and head from the GW prime model, and de-chaosify him using FW IIIrd Legion arts. Details I wanted were his pack, his whip, two swords, and the characteristic straps from his leg armour. The GW Prime model is slightly taller, partly due to the cloven feet! After much swearing I managed to test fit the new legs. He stands tall and is quite elegant, almost true scale. 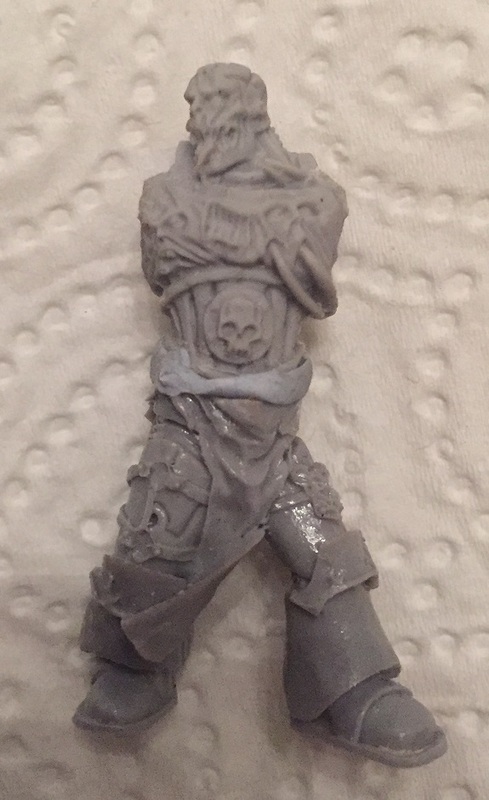 He will need some GS work to fill the gaps and re-sculpt the loincloth. I went for two swords, and pads from the Phoenix Terminators. His left hand blade is that of the GW prime model, whilst that in his right hand is a palatine blade sword. With some trimming and some boiled water I was able to coil the whip into a clip to place on his hip - I had to have this beauty on the model. Additions I hope to add will be twin daggers - I want him to seem ready to fight and never be unarmed - and possibly a bolt pistol in holster. I will run him, most likely, as a praetor with Paragon blade & Lucid blade. The former to represent his prowess, the latter the represent the whip. I may swap these for power sword , charnabal sabre or even lightning claw (to represent the whip lashing his foes) depending on games - hardly WYSIWYG but it is all in the narrative.